Craig Cardon sits on Sheppard Mullin's Executive Committee and serves as Practice Group Leader of the Privacy and Cybersecurity Practice. He also serves as the International Liaison for the firm’s China offices. Craig enjoys a broad advertising, data privacy and ecommerce focused practice. He primarily represents brands, retailers, ad agencies, ad networks, technology platforms and other business involved in advertising, marketing and the data associated with it. Craig provides regular advertising review for some of the largest retailers and consumer product manufacturers in the country. He regularly litigates false advertising and privacy class actions (including breach-related litigation), competitor comparison claims and trade secret claims. Craig has defended numerous landmark privacy and advertising class actions, including defeating cases of first impression under California’s Shine the Light law, Anti-SPAM law, the Club Card Act, gift card laws and Song-Beverly Credit Card Act. He has represented dozens of brands in cases around the country related to the collection of data and targeted advertising. He has defended FTC advertising enforcement actions through trial and regularly appears before the NAD (National Advertising Division). Craig and his team handle data transactions, ecommerce fulfillment deals, international brand licensing and distribution arrangements. He has particular expertise in assisting retailers and brands in establishing and managing retail and distribution relationships in China and elsewhere in Asia. Outside of the advertising context he has advised the Japanese government on anti-counterfeiting legislation, represented the Motion Picture Association and advised film studios on the intellectual property implications of new technologies. Much of his practice is devoted to disputes over media content and media distribution technologies. His content litigation experience, in addition to state and federal court litigation, encompasses domestic and international arbitrations, including IFTA arbitrations. 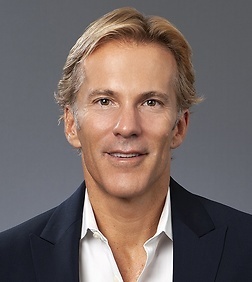 Craig has created and overseen international anti-grey market and anti-counterfeiting programs for some of the world’s largest consumer product manufacturers and best known fashion brands. Harrold v. Levi Strauss & Co., 235 Cal.App.4th 385 (2015) – Lead counsel for iconic jeans brand defeating class certification in data collection class action. Lewis v. Safeway, Inc., (A140943 Cal.App. 3-20-2015) – Lead counsel for national grocer in Song-Beverly data privacy class action relating to birthdates. Decision on appeal affirming dismissal with prejudice. Avalos v. IAC, 2014 WL5493242 (SDNY 10-30-2014) – Lead counsel in $1.5 billion class action alleging false advertising, right of publicity, Lanham Act, copyright and RICO violations. Decision dismissing all claims with prejudice. Rosolowski v. People Media, B250482 (Cal.App. 10-29-2014) – Lead counsel for Match.com subsidiary in appeal affirming dismissal of claim under California Anti-SPAM law. Rodman v. Safeway, Inc., 2014 U.S. Dist. LEXIS ___ – Lead counsel for national grocery retailer in denial of class certification on false advertising, unfair competition and CLRA claims. Pineda v. Williams-Sonoma, 178 Cal.App.4th 714 (2009) – Lead counsel for kitchenware retailer in privacy class action. Decision affirming judgment for retailer. Powers v. Pottery Barn, 177 Cal.App.4th 1039 (2009) – Lead counsel for homewares retailer in privacy class action. Decision addressing CANSPAM preemption of state privacy laws. Law v. Harvey, 2007 U.S. Dist. LEXIS 78398 – Lead counsel for producer of Burning Man festival in dispute over ownership of the Burning Man name and image. Cadsoft Corp. v. Riverdeep, LLC, 2007 U.S. Dist. LEXIS 39559 – Lead counsel for software developer in copyright dispute with world's largest software publisher. Court found for developer that publisher had illegally assigned copyright license. O.O.C. Apparel, Inc. v. Ross Stores, Inc., 2007 U.S. Dist. LEXIS 19490 – Lead counsel for national retailer in dispute over Sean John trademarks. Digital Envoy v. Google, 370 F. Supp.2d 1025 (N.D. Cal 2005) – Counsel for geolocating technology provider in trade secret matter addressing Internet advertising practices.